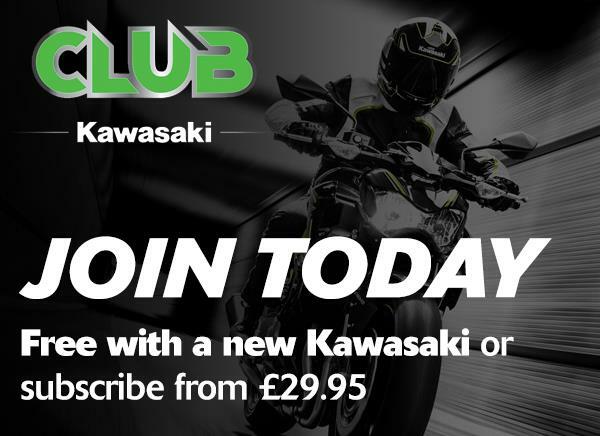 Continuing its yearly launch of significant new models for the European market, Kawasaki set the show halls buzzing with a follow up to the recent Intermot unveil of the new Ninja H2, Ninja ZX-10R range plus the Z125 and Ninja 125. Targeting EICMA for the public announcement of another five machines, the Akashi manufacturer added to the momentum with a speech from attending President of the Kawasaki Motorcycle and Engine Company, Mr. Kazuo Ota. In a speech that highlighted Kawasaki's continued commitment to the European market, Mr. Ota reinforced the Performance Promise that covers not just motorcycles but also customer service aspects and the overall dealer experience. Making a welcome return to the Kawasaki range for 2019, the Ninja ZX-6R was the first of an impressive line-up of machines highlighted at EICMA. With a daily street ability to match its track-day credentials, the 130ps Ninja ZX-6R encompasses such track features as an assist and slipper clutch, quick shifter and KTRC traction control. Matched to road friendly items like intelligent anti-lock brakes, 2 power modes and Showa big piston front forks, the 636 cm3 Ninja is set to be the definitive mid-range sublime road Supersport. Adding to the already impressive Z range, the twin, cylinder, water-cooled Z400 was seen for the first time at EICMA. Filling a need in the A2 class naked category, the 399cm3 machine boasted not only more power than its Z300 predecessor but also less weight, the ideal win-win scenario. Harnessing the unique Kawasaki Sugomi design philosophy in its creation, the full-volume bodywork design is visually impressive while clever ergonomics deliver a confidence inspiring riding position and light maneuverable handling plus reassuring braking performance. Now boasting a seven bike Z range, Kawasaki has effectively reinforced itself as a major player in the popular naked bike segment. Moving to another area of Kawasaki speciality, the presentation gave the very first indication of two new-for-2019 machines from the W stable. With a lineage stretching back to 1966 and the original W1 650, the new machines bear the W800 name as W800 Street and W800 CAFE. At first glance similar to previous iterations, both machines rely on a fundamentally new chassis, new brakes and numerous engine and styling updates which mean that only around 10% of the former machine is evident in the stunning new Euro4 and A2 compliant ABS equipped models*. The latest iteration of the successful Ninja H2 SX line had the covers removed in Milan. Named the Ninja H2 SX SE+ the “ultimate hyper tourer” that already boasts a unique 200PS Supercharged engine will be supplied with Kawasaki's electronically adjustable suspension package for the first time along with the convenience of the Rideology App which uses a Bluetooth connection to join rider and machine. This allows smartphone screen updates of numerous vehicle settings plus examination of things such as riding logs, fuel level and even service interval countdowns. For the fifth and final machine highlighted at the premier Italian motorcycle show, Kawasaki showed the media and public for the first time the next generation Versys 1000, available in two variants Versys 1000 and Versys 1000 SE. Sharing some key high end features with the Ninja H2 SX SE+, the very latest litre class Versys 1000 SE boasts its own version of electronically adjustable front and rear suspension as well as the same convenience of the Kawasaki Rideology App. Matching the wonders of modern electronic rider aids to physical “real-world” attributes, the Versys 1000 lights the way with new LED headlamps and electronic cruise control while the Versys 1000 SE rider can also enjoy cornering lights and is further protected from the elements via a new larger screen plus standard fit handguards and heated handgrips, all available as accessory upgrades for the base Versys 1000 model. 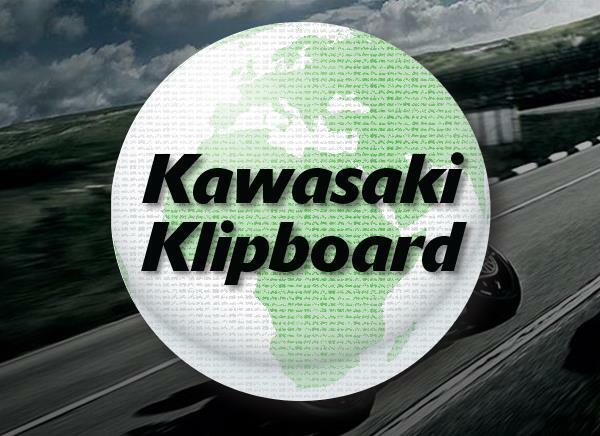 “The momentum created by the key models we have launched in the recent past has acted as impetus to spur the factory on to bigger and better things”, commented Managing Director of Kawasaki Motors Europe, Kenji Nagahara.